We came third at the Drone Pioneer Award! 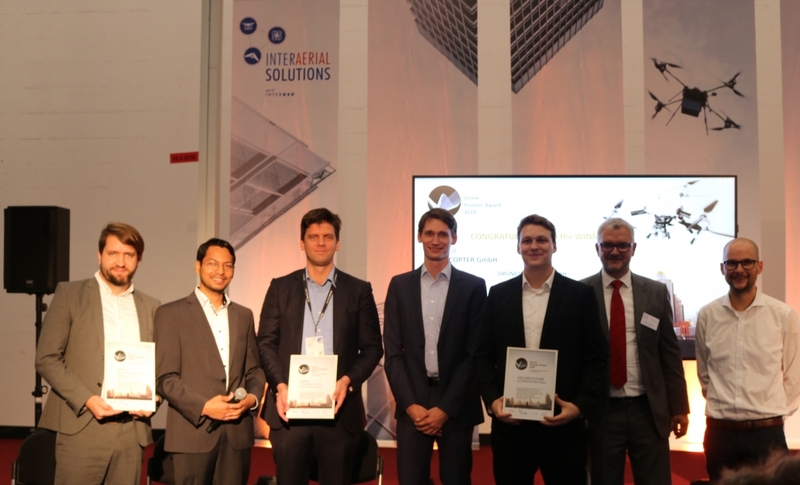 The award, presented in Frankfurt on 17 October as part of INTERAERIAL SOLUTIONS (part of INTERGEO), Europe’s largest civili drone show, recognizes projects that are changing the market and are helping to achieve the UN’s goals of a sustainable society. We were awarded for our project landmine detection by GPR. With the help of our drones, we want to make landmine search more efficient, safer and cheaper, and to give people in developing countries their land and thus their livelihoods. More detailed information about the project will be available shortly.